E.C./HandyArt Lino Ink 250ml - $10.89 - Black A fully proven and tested block printing ink- Water base but dries as an oil paint - Ready for immediate use. E.C./HandyArt Lino Ink 250ml $10.89 - White Non-toxic water-based colour for block or lino printing. 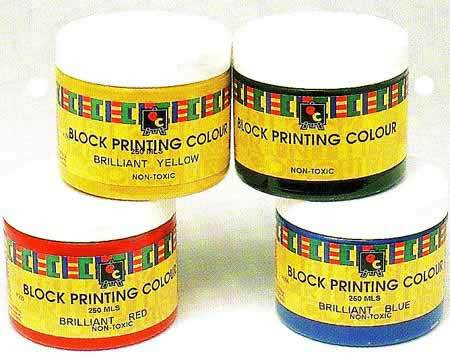 Ideal for mono printing,these inks dry by a combination of evaporation and absorption. Ink Quink Black Permanent by Parker - 57ml bottle. 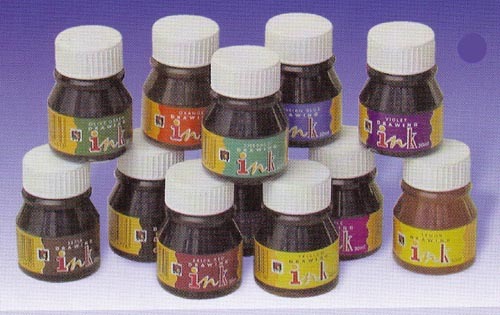 Drawing Ink Toucan - 30ml 16 Colours Dye based ink with Shellac. Suitable for brush,pen or airbrush. Waterproof when dry.